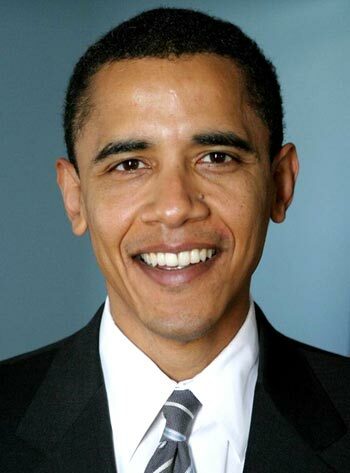 Barack Obama.net: Barack Obama, Barack Obama, Barack Obama! "There is not a Black America and a White America and Latino America and Asian America; there's the United States of America." The above quote is just one of the innumerable inspiring statements that Barack Obama has made. Every time Barack Obama talks, Americans listen…they listen closely, captivated by this intelligent, articulate man who is bringing HOPE back to America and making us all realize that POSITIVE CHANGE is on the way. And that is because Barack Obama is the only candidate who represents true change in America. 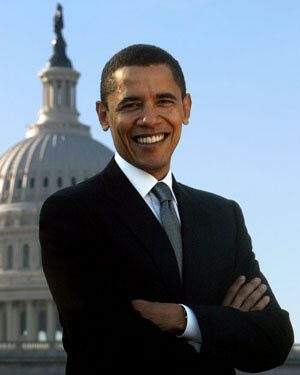 Barack Obama is the only candidate who can unify America. Barack Obama is the only candidate who can bring hope back to EVERY American. Barack Obama is the only candidate who can end the war in Iraq in a reasonable period of time. Barack Obama is the only candidate who can provide universal, affordable health care. Barack Obama is the only candidate who can truly reform the politics of Washington. Barack Obama is the only candidate who will cut income taxes by $1,000 for working families. Barack Obama is the only candidate who will eliminate income taxes for seniors making less than $50,000 a year. Barack Obama is the only candidate who will intelligently attack the problem of greenhouse gas emissions and global warming. Barack Obama is the only candidate who will work to reduce carbon emissions 80% by 2050. Barack Obama is the only candidate who will intelligently invest in a clean-energy future. Barack Obama is the only candidate who will cut skyrocketing pork barrel spending projects. Barack Obama is the only candidate who will ensure economic opportunity for family farmers. Barack Obama is the only candidate who will toughen our civil rights laws and enforcement. Barack Obama is the only candidate who will fight terrorism effectively and intelligently. Barack Obama is the only candidate who can drastically improve international relations. Yes, Barack Obama is the only candidate who can do it all. Barack Obama is a great leader. Barack Obama is a great person. Barack Obama is a great American. And Barack Obama will be the next president of the United States. Welcome to Barack Obama.net. A website where you can learn more about our next president. Please peruse our site, please tell your friends about Barack Obama.net, and please come back often because we will be updating the site frequently.